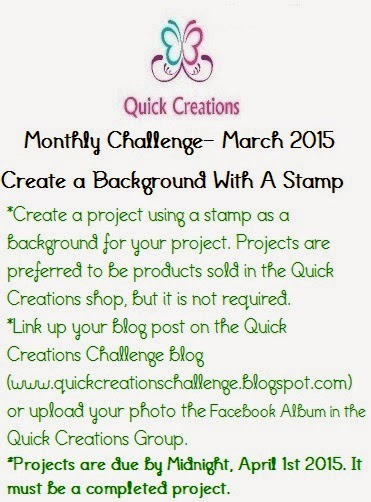 Quick Creations Challenge Blog: Quick Creations March 2015 Challenge: Create A Background With A Stamp! 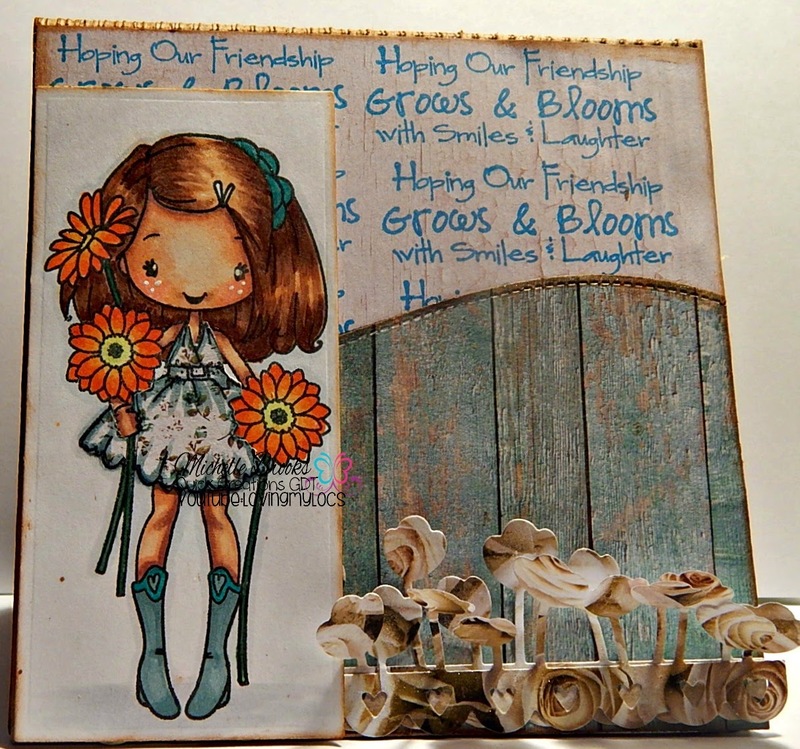 Quick Creations March 2015 Challenge: Create A Background With A Stamp! Hello everyone! It's time for the monthly challenge! Last month's winner was Indah Permata Sari! Congrats! This month's theme is to create a project using a stamp to create a background. You can have a focal point as well as a stamped image but part must be a background created with a stamped image. Please link up your blog post at the end of this post on the link up or join our facebook group and upload there. 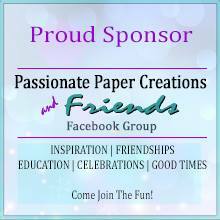 Here is the link to the Facebook group: https://www.facebook.com/groups/quickcreations/ . Here's some challenge inspiration from the Quick Creations Challenge Team. Michelle used The Greeting Farm's "Anya Blooms" Rubber Stamp and used the sentiment from the set as the background stamp. She also used a retired die from The Greeting Farm called "Tulip Border" Die. It happens to still be available at Quick Creations! 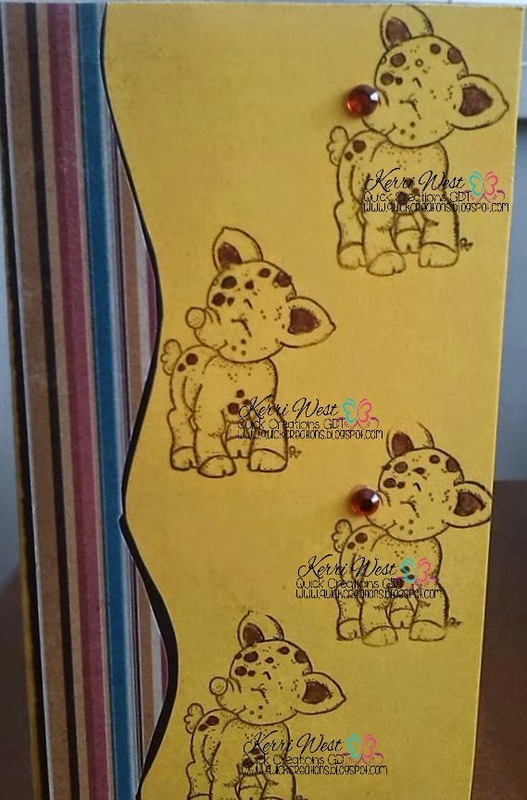 Kerri used Magnolia Stamps "Show the Way Baby Rudolf" Rubber Stamp as her background stamp.